Eight years after giving the go-ahead for the National Project to Document Egypt’s Heritage, Beni Hassan necropolis in the Upper Egyptian town of Minya has become the first site on the list to be documented. The Ministry of State for Antiquities (MSA) is responsible for archaeologically documenting Egypt’s cultural and historical heritage, in an attempt to protect and preserve it, as well as providing comprehensive and detailed studies of every site and monument in Egypt for researchers and students in the field. Mohamed Ibrahim, antiquities’s minister, told Ahram Online that Egyptologists used state-of-the-art equipment and modern technology to document the necropolis and published the findings in a booklet of 337 pages, including 268 photos and 62 drawings and charts. Director of the ministry's registration department, Magdi El-Ghandour, described the documentation effort as one of Egypt’s major projects to preserve its heritage. He added that the project aims to establish a scientific database for every monument in Egypt, to help the work of researchers. 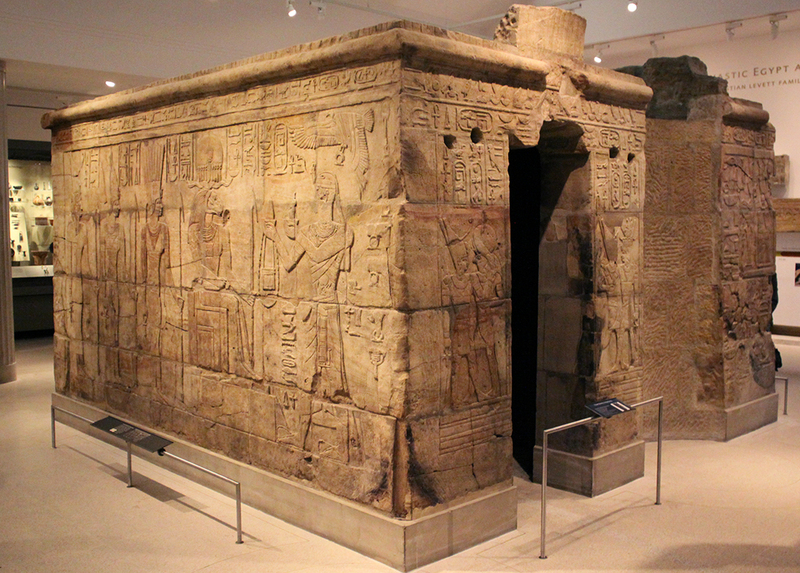 "It is the second documentation project to be established in Egypt; the first was carried out in 1985 during the Nubian temples salvage operation, documenting the Nubian temples whether rescued or inundated in Lake Nasser." Rising water: a necessary evil? 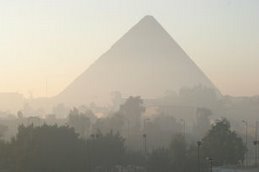 Within the framework of the Ministry of State for Antiquities's programme to preserve its ancient Egyptian monuments, Giza Plateau inspectorate has begun operating a state-of-the-art pumping system to reduce the high rate of subterranean water that has accumulated beneath the Sphinx and the underlying bedrock. Ali El-Asfar, director of the Giza Plateau archaeological site, says that under the new system 18 water pump machines distributed over the plateau are pumping out 26,000 cubic metres of water daily at a rate of 1,100 cubic metres of water an hour, based on studies previously carried out by reputed Egyptian-American experts in subterranean water and ground mechanic and equilibrium factors. The LE22-million project was initiated to reduce the high level of subterranean water under the Sphinx, which had increased because of the new drainage system installed in the neighbouring village of Nazlet Al-Seman and the irrigation technique used to cultivate public gardens and green areas in the neighbouring residential area of Hadaaq Al-Ahram and the golf course at the Mena House Hotel. "All these have led to the leakage of water into the plateau, affecting especially the Valley Temple and the Sphinx which are located on a lower level," El-Asfar said. A number of archaeologists have launched a project to develop archaeology in Egypt to be carried out by the new government, according to MENA. The project, which was launched under the title, ‘Egyptian Antiquities’ Renaissance Project ‘ includes a plan to develop archaeology to occupy a prestigious position as one of the state’s main economic sources, said Mohamed Abdel- Maqsoud ,deputy chairman of the Egyptian antiquities sector. The project aims at changing the technique of work in this field that should controlled by a specialised state security body to protect Egypt’ monuments and archaeological heritage . Abdel-Maqsoud noted that the antiquities sector is facing financial problems due to the reduced number of tourists visiting Egypt during the last couple of years. The archaeologists have called for cultural tourism to be mainly based mainly on visiting monumental sites throughout Egypt. It is know the antiquities sector is self -financing , says Abdel -Maqsoud, adding that the annual revenues of the monuments normally reaches to LE1.2 billion nearly($200 million) annually. The discovery of a Middle Kingdom burial of a member of the family of the Deir Al-Barsha governor has given Egyptologists some unique information on the scenario in which the ancient Egyptians conducted their funerary rituals. Everything began as normal at this spring's archaeological season at the Deir Al-Barsha necropolis in Minya, which lasted from March to May. As usual, teams of workmen, archaeologists and restorers were busy on all parts of the site, digging and clearing the tombs of the village nomarchs (provincial governors) and searching for artefacts or monumental remains that could tell them more about the history of this particular period of ancient Egypt. The site of the Deir Al-Barsha necropolis in the sandy gravel desert is famous for its rock-hewn tombs dating from the Middle Kingdom. Although part of the necropolis was investigated at the beginning of the 20th century by the American archaeologist George Reisner, no plans or detailed accounts of these excavations were ever published. Time has since taken its toll of the necropolis, and it was almost totally covered by sand. In 2002 a Belgian archaeological mission from Leuven University started a magnetic survey there in an attempt to gain some insight into the overall organisation and social stratification of the necropolis. After a year of extensive restoration Salaheddin Citadel on Pharaoh Island, 250 metres from Taba Beach in Sinai, opens to the public in July. The restorations include repairing all eroded and corroded surfaces, restoring the fence that surrounded the citadel and replacing fallen or missing blocks with new ones that match the others. A new lighting system makes the citadel appear like a crystal gem in the middle of the Red Sea. They’ve also installed lighting along the visitor paths. Documentary films and photo exhibition relate the history of the citadel in the visitor centre. To make visiting the site easier for tourists, during his latest inspection visit, Minister of State for Antiquities Mohamed Ibrahim suggested constructing a closed tunnel to connect the citadel to the Taba beach, which boasts beautiful coral reefs. He also calls on the Tourism and Antiquities Police to tighten security measures in the Sinai, considering some of the recent instability in the area. We present to you today the tomb of Amenemope, TT148, which dates from the 20th Dynasty. Amenemope was Third Prophet of Amon, descended from a powerful family of which many representatives are mentioned in the chapel. The monument is on the north hillside of Dra Abu el-Naga, an area of which the prestige and the direct view of the pylons of Karnak, compensated for the poor quality of the local rock, which along with the prolonged occupation, caused serious damage to the decoration. What has survived is of a great artistic quality and allows the previous splendour of this tomb-temple to be realised. This time it’s a star turn for Peter Parson’s City of the Sharp-Nosed Fish: Greek Lives in Roman Egypt (Weidenfeld & Nicolson, 2007). This charming, entertaining and informative book is not only easy to read, it also delights with its clear-sighted analysis of the papyrus fragments found at the site of the Egyptian city of Oxyrhyncos. Here, in the early twentieth century, the archaeologists Grenfell and Hunt stumbled upon a classicist’s dream – mounds and mounds of intact papyroi. A few of them gave up texts of Homer; there was a lost play of Euripides, Hypsipyle, (which it is thought concerns the cursing of a group of women by Aphrodite for neglecting her shrine; her curse was to give them all extreme body odour. Perhaps that’s why it was lost.) There were songs of Sappho (who features in a Ronald Firbank novel, Vainglory, in which a professor reads out, proudly, the fragment to assembled high society: “Could not (he wagged a finger) Could not, for the fury of her feet!”) and other Greek lyricists. But most were prosaic, and as such add a huge amount to our knowledge and understanding of life at the height of the Roman Empire, just before Christianity. All exhibitions focusing on ancient Egypt (3100-332 B.C.) smell of the tomb to some degree, simply because the best artifacts have been recovered from the graves — this is true of "Tutankhamun and the Golden Age of the Pharaohs," an exhibition currently being held at the Osaka Tempozan Exhibition Gallery and which comes to the Ueno Royal Museum on Aug. 4. According to professor Jiro Kondo, a director of the Institute of Egyptology at Waseda University and the curator for the "Book of the Dead" exhibition here, such shows usually follow a set pattern. "Every two or three years in Japan we have some sort of ancient Egyptian exhibition," Kondo says. "The focus is on golden objects and jewelry rather than a theme, leading Japanese people to think ancient Egyptian civilization is gold, mummies and jewelry. But this time, we are following the British Museum exhibition and taking a deeper look at the beliefs related to the afterlife." The exhibition features around 80 objects sourced from a show held in autumn 2010 at the British Museum, with the centerpiece being the Greenfield Papyrus. This remarkable scroll, made for a high-ranking priestess named Nestanebtasheru in 930 B.C., contains a richly illustrated version of the Book of the Dead, an ancient Egyptian funerary text that is a rich source of information about the civilization. M.Phil. thesis, University of Birmingham. This thesis aims to further the understanding of the cultural and social history of the Middle Kingdom nomes. Two different approaches have been taken. The first examines coffin texts unique to individual coffins from the provincial cemetery of El Bersheh in the 15th Upper Egyptian nome. The evidence presented suggests that these texts were products of the Hermopolitan House of Life and were likely to have been created for specific individuals. It is concluded that the provincial elite were the driving force behind this innovation. In the second approach this thesis turns its attention to the pottery of Beni Hasan and the 16th Upper Egyptian nome. It is argued that the pottery corpus of Beni Hasan is reflective of the independence of the provincial administration and that the appearance of the Residence style during the mid 12th Dynasty is reflective of the social changes undertaken during the reign of Sesostris III. In the concluding section both approaches have been brought together, in doing so this thesis has been able to observe the independence and creativity of provincial culture which arose out of the unique power and authority held by the nomarchs. The modern metric system defines units of volume based on the cube. We propose that the ancient Egyptian system of measuring capacity employed a similar concept, but used the sphere instead. When considered in ancient Egyptian units, the volume of a sphere, whose circumference is one royal cubit, equals half a hekat. Using the measurements of large sets of ancient containers as a database, the article demonstrates that this formula was characteristic of Egyptian and Egyptian-related pottery vessels but not of the ceramics of Mesopotamia, which had a different system of measuring length and volume units. Via Yvonne Buskens, with thanks. The Opet temple, which rests atop the ruins of some 2000 years of Pharaonic history, was erected in thesecond century BCE by Ptolemy VIII Euergetes II. It was dedicated to the hippo goddess Opet, who was widelyregarded as a protector of mothers and children. In the sanctuary, she was incorporated into the myth of Osirisin order to facilitate the rebirth of the god Amun. 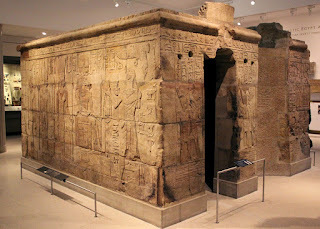 The interior decorative program recounts several episodes of this myth, including the well-known representation of the resurrection of Osiris.This compact and discrete temple, located in the southwest corner of the enclosure at Karnak, lies far fromthe steady stream of tourists passing through the great temenos-wall of Amun-Re (see chapter I). In thiscontext, the monument’s position—almost touching the neighboring sanctuary of Khonsu—is surprising. The building itself rests atop the high bedrock with an architectural plan characterized by the placement of numerous crypts around a cruciform core. The Opet temple belongs to that rare category of sanctuaries thatcan be designated as “mythological temples”.A restoration program and study of the architectural, archaeological, and epigraphic material began in2005 under the direction of Emmanuel Laroze of the Centre Franco-Égyptien d’Étude des Temples de Karnak (CFEETK), a scientific collaboration of French and Egyptian missions to that site (Mansour Boraik, IbrahimSuleiman, Hamdi Ahmed Abd al-Jalil for the Supreme Council of Antiquities ; Emmanuel Laroze thenChristophe Thiers for the French National Center for Scientific Research – authors thank them all for their continuous support). The restoration and excavation projects have been supported by the private patronage of Ms. B. Guichard; additional excavation support has been provided by the Michela Schiff-Giorgini Foundation. The ancient Egyptian Pyramid Texts form the oldest body of religious texts in the world. This book weds traditional philology to linguistic anthropology to associate them with two spheres of ritual action, mortuary cult and personal preparation for the afterlife. The title of this paper may seem too restrictive for an opening lecture in a colloquium concerned with the entire East of the Roman Empire, in which only half of the papers concern Egypt, and yet simultaneously far too ambitious in its scope. In the course of the colloquium, however, it became clear that the methodological issues that I was trying to confront were broadly relevant across the geographical span covered by the colloquium and to some extent raised fundamental questions about the very formulation of some of the organizers’ questions to participants, questions which came back into focus in the lively concluding discussion. This in my view was to be anticipated, because part of my argument is that Egypt is not any more exceptional than anywhere else in the Roman Empire of late antiquity, and that the questions at stake there are broadly applicable, even if the answers vary. Online: A Vineyard in the Small Oasis:What Was the Dispute About? Via Maria Nilsson, with thanks. A Vineyard in the Small Oasis:What Was the Dispute About? Brought to Oxford in 1936 in hundreds of wooden crates. The only free-standing Pharaonic building in Britain.